An hourly planner is similar with daily schedule planner. You were given spaces to fill in for your plans especially if it is related to work career. Every hour is important just like a schedule that will plot given time to carry out certain task. You can also see Daily Planner Templates. There are different planner types and it depends on a person where to use it. Samples and examples of Daily Planner Templates are seen in online template planner. These are free and downloadable. All you need to do is list down all your plans even hourly is possible then try to evaluate if this has been met or not.You may also see Plan Templates. An office has loads of work to be completed by several employees. The workload is divided among all. 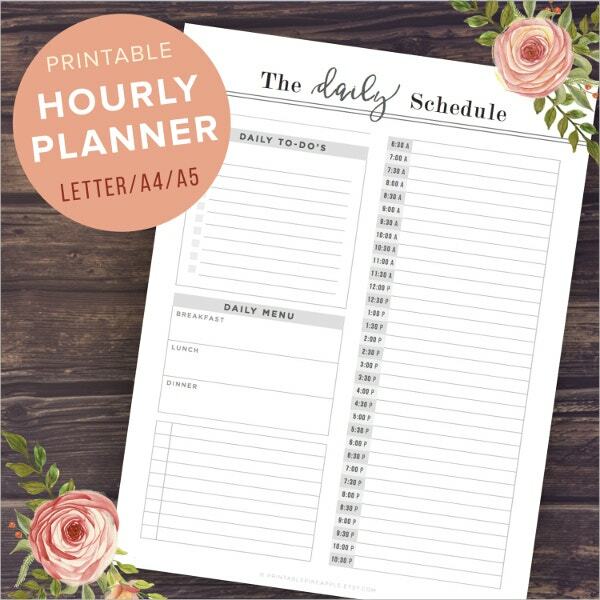 The hourly planner template is used to plan each hour, and it determines each step of a project that should be completed in that particular hour. This type of a template can be used by any office employee or staff. Schools use the hourly planner template in order to divide six hours of school time in to short periods called classes. 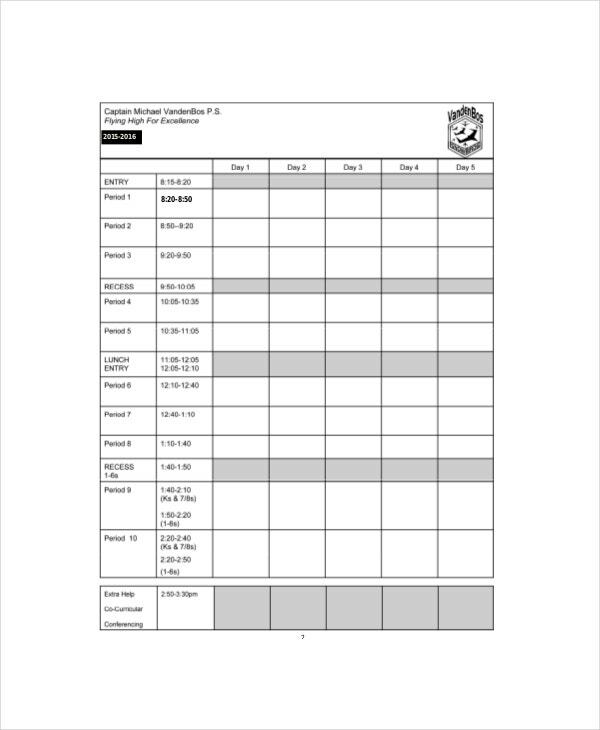 This template can be used by the principal itself to determine the time duration for each period sets and the time duration for recess. It can be used by students to complete their homework and divide their work and plan each hour for certain tasks, it can also be used by teachers for the same purpose. The hourly planner template is also used in hospitals by doctors to plan and fix appointments on the basis of the number of hours they work. In case of any emergency a doctor can cancel any unnecessary appointment as well, that becomes easier for him since he has his working hours pre scheduled. 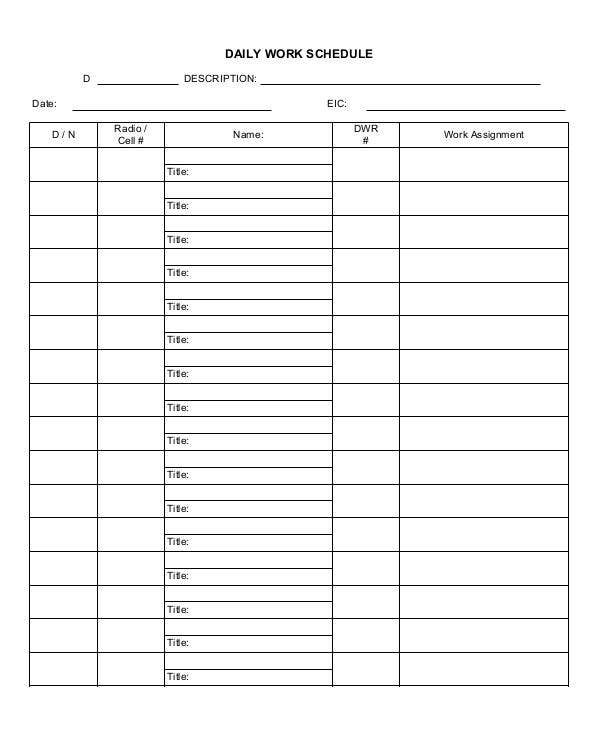 The hourly planner template is used for military purposes in order to set hourly planning of duties of the soldiers at border. The versatility of the templates strikes high and hence there is no confusion caused for the allotment of duty. You can also see Cute Daily Planner Templates. > How do Hourly Planner Templates Benefit Us? 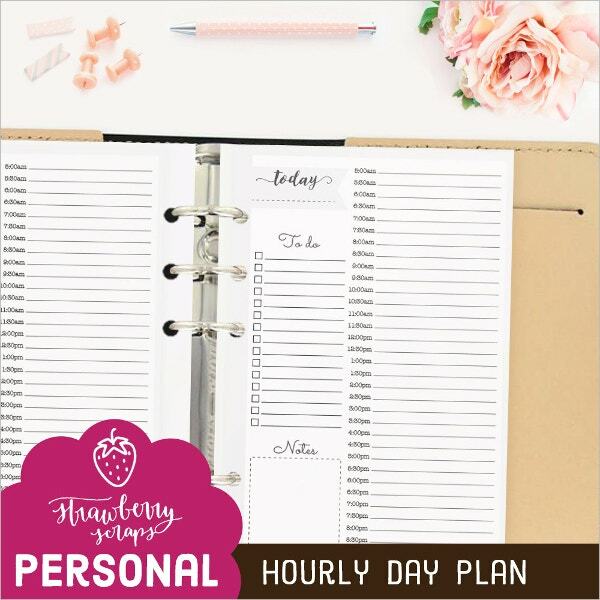 The hourly planner templates benefit us in the following ways. With the help of the hourly planner templates office people are less under pressure of work load since they gain momentum by work division among employees. The employees stay updated of the work performed. As the work completes there is a certain marking that shows whether there are any more pending work of the last hour to be done. This way the progress is fast and miraculous. The hospitals treat hourly planner templates as a boon, since doctors’ work on hourly basis. 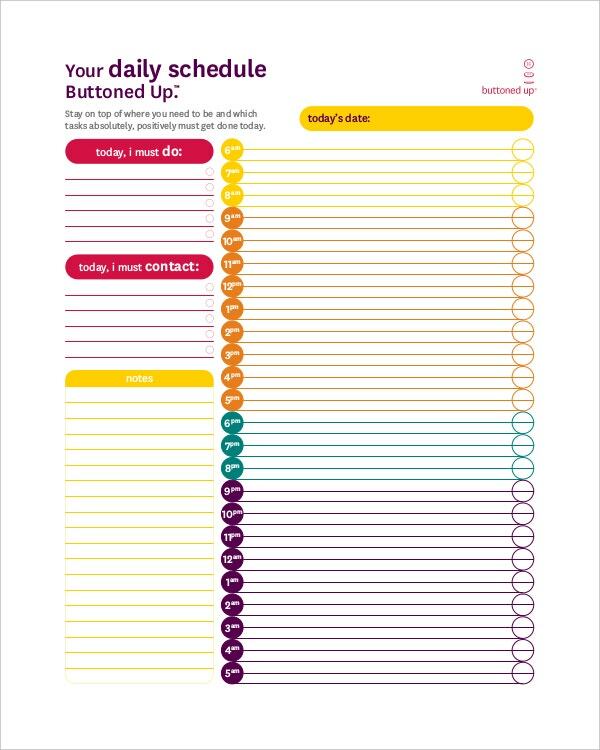 There are tons of appointments to be fixed surgeries to be done, that makes it difficult for the doctor to remember, hence he uses the hourly planner template to list down his plans for the day to reduce work pressure. > What are the Points to be Followed to Create an Hourly Planner Template? An hourly planner template must be well organized since it consists information and planning of each hour. It must have a neat and professional format, and in order to achieve that you can download the documents provided by us. They are designed by professionals keeping in mind human requirements and how the human brain works when it comes to organizing. Based on the requirements of all the users the online documents can be easily customized according to an individual needs and wants. > What is then Main Motive of Using and Hourly Planner Template? 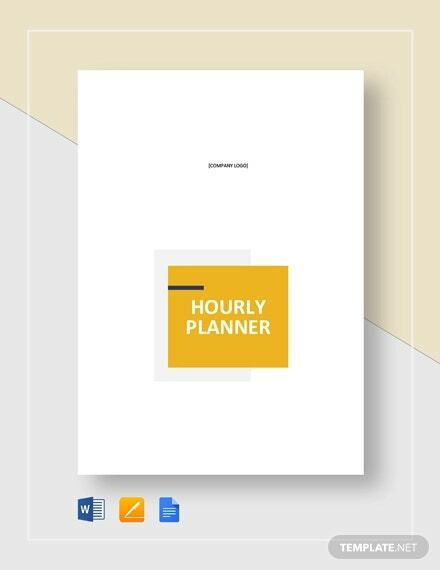 The main motive behind using and hourly planner template is to keep things organized and being prepared for each hour that comes up. 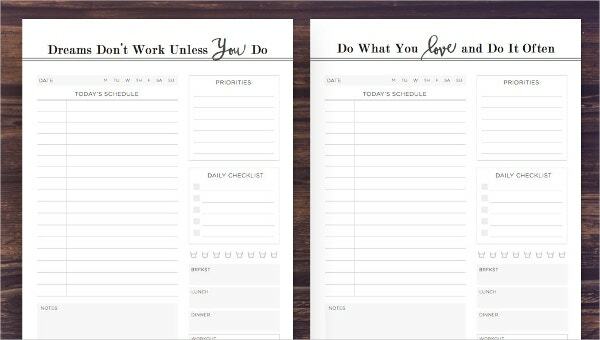 Anybody can use this hourly planner template to reduce work pressure and make things easier to follow and organize. You can also see Daily Lesson Plan Templates. All documents and templates have been rated a 99.99% of success. They come with regular updates, amazing features and bootstrap framework, that is not only compatible with all browser versions, but is all compatible with all types of digital screens.